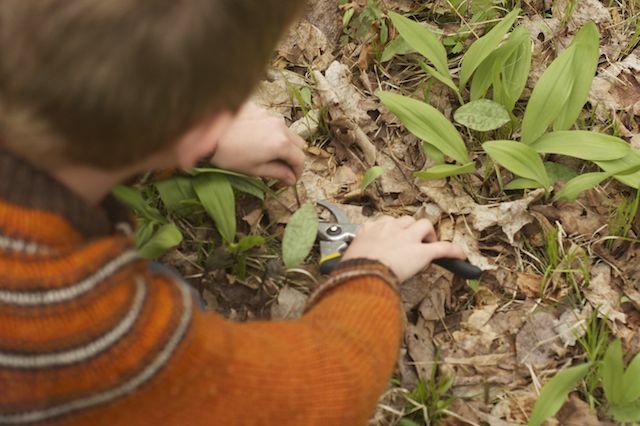 Under a blanket of clouds, three days of drizzling rain, and restless children, Mike declared yesterday to be the day perfect for adventuring, or more precisely, foraging for ramps. He packed up the basket, clippers, drinks and snacks. He's good about that... pushing us homebodies out of the house just when we need it. We had seen the ramps last week while driving through the hills, but they we're just barely poking out of the ground. 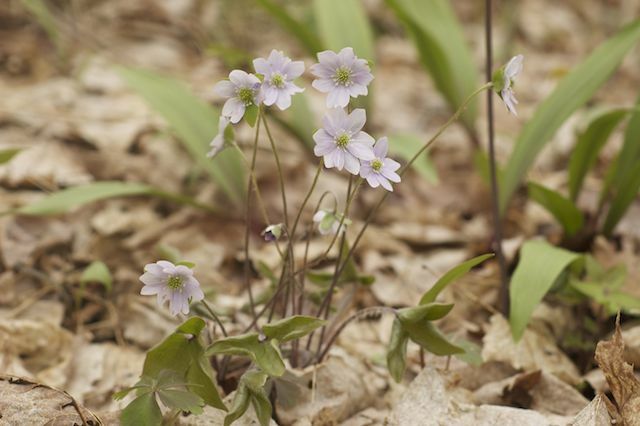 Now, the forest floor is covered with wild edibles; ramps, trout lilies, marsh marigolds, alpine strawberry flowers, and unknown to us yet, some tiny little purple flowers pushing out through the soil. 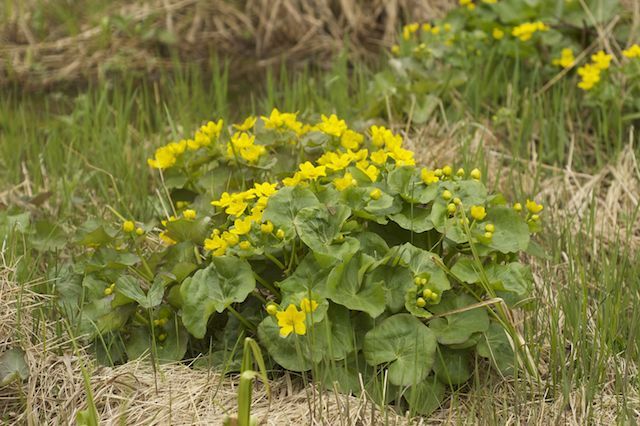 I even found some new dye plants to experiment with. 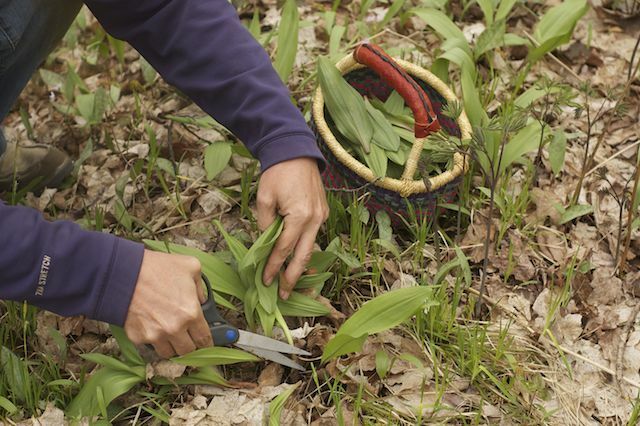 It didn't take long to forage a basket full of ramps, and good thing, too. The rain cut our adventure short, but it sure was nice to have a change of scenery for a while. 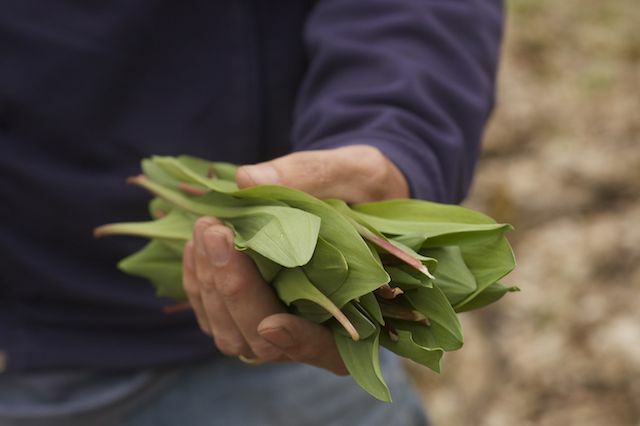 And gratifying to have a handful of ramps for our our pot of chili waiting on the wood stove when we got home.